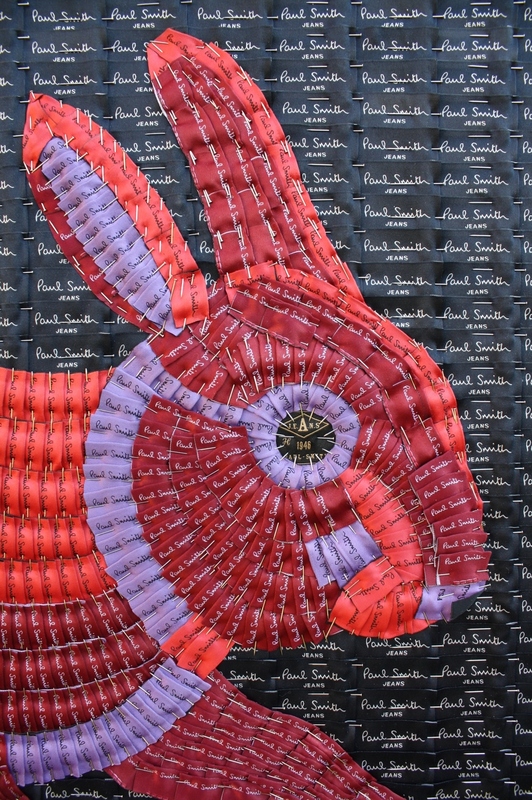 We are now able to offer an opportunity to purchase a limited edition print of 'Red Rabbit' a textile assemblage recently commissioned by Sir Paul Smith for his collection. Prepared using a Cruse Flatbed Fine Art Scanner, the print offers superior textured detail of thousands of brightly coloured Paul Smith clothing labels. Each purchase includes a small donation to Maggie's Cancer Care UK, a charity supported by Paul Smith. See home page and commission page for images. More information coming soon or inquire direct through our contact page. Contemporary Art from people and their garments.